Regalia is a 46-story masterpiece that is situated on an acre of stunning beach. With its wraparound balconies giving a look and feel of shifting sands, it’s perfectly at home among the swaying palm trees, ocean breezes, and rolling waves. 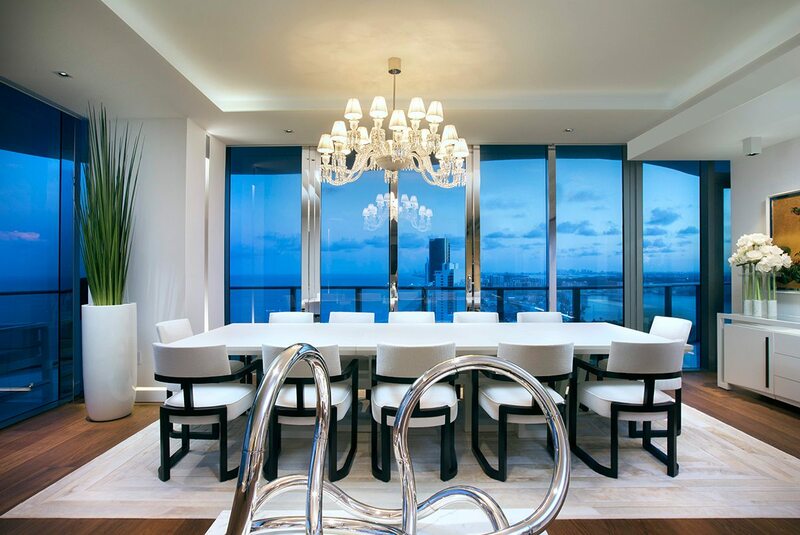 Located between Sunny Isles and Golden Beach, Florida, the shimmering high rise features 39 designer ready floor plates and absolutely magnificent views. Regalia II is our second completed residence within the high rise. Our clients are a wonderful family who purchased this residence as their Miami vacation home. They have a great sense of style and gave us a lot of input on the design. 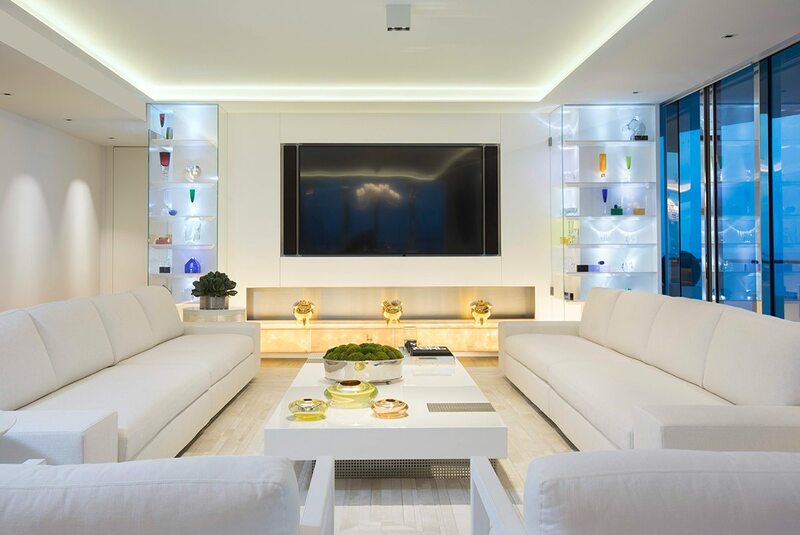 It was a pleasure to collaborate with our clients and to create a sleek and sophisticated space for their family. The 7600 square foot floor plate, including 2100 square feet of wraparound balcony, was a designer’s dream. We added flooring, dropped ceilings, created custom pieces, and furnished the entire home, including living room, dining room, kitchen, four bedrooms, and five bathrooms. Custom. Custom. Custom. 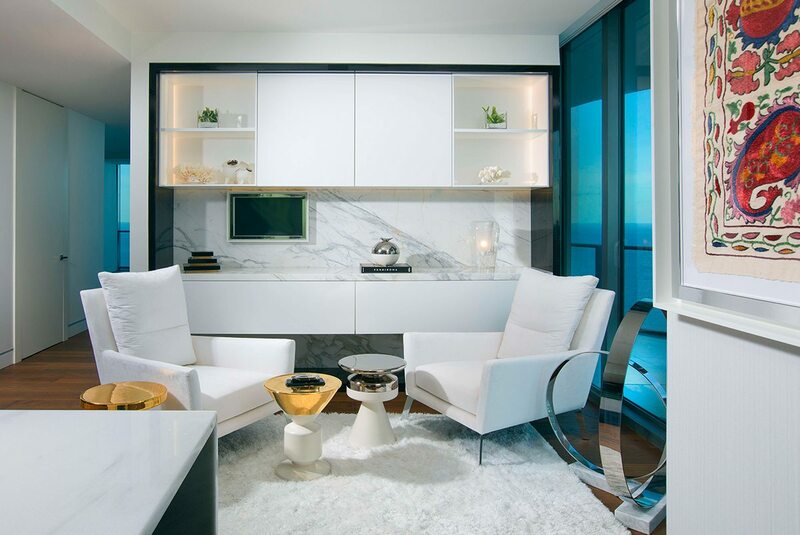 Regalia II, like all of our Britto Charette designs, was built to suit the client. 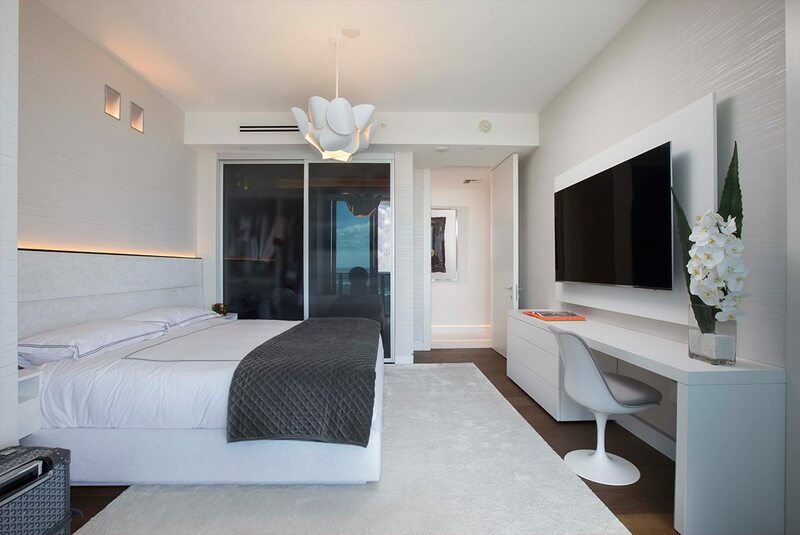 From custom-made large format rugs to built-in wall units to beds and headboards (not a single bed was purchased, Britto Charette designed them all and had them built), every facet of the design was thoughtful and specific to our clients’ needs and wishes. Because our clients wanted a sleek, unencumbered look to their design, we had to work carefully with the shell of the residence. The tricky part about minimalism is that because the eye is drawn to objects and accessories on walls, when you emphasize clean lines, the lines really do have to be clean. Perfect, really. 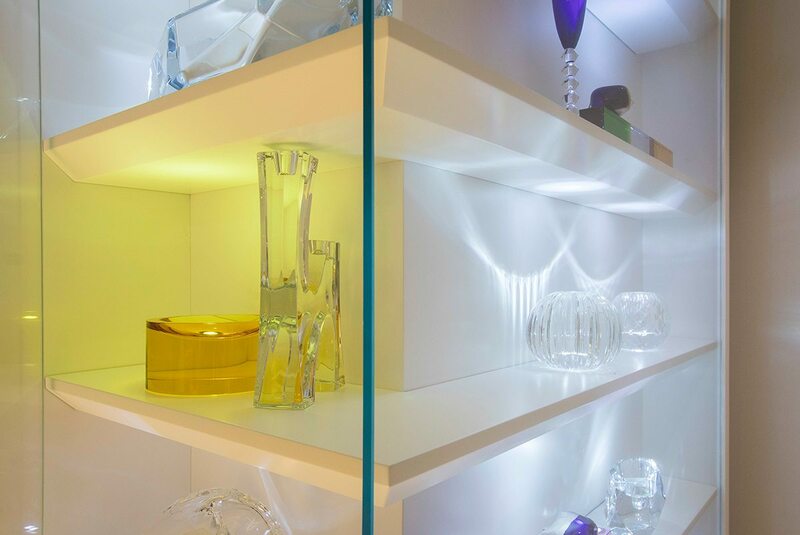 Otherwise, instead of achieving a sophisticated and sleek look, you run the risk of having a space that looks cheap. 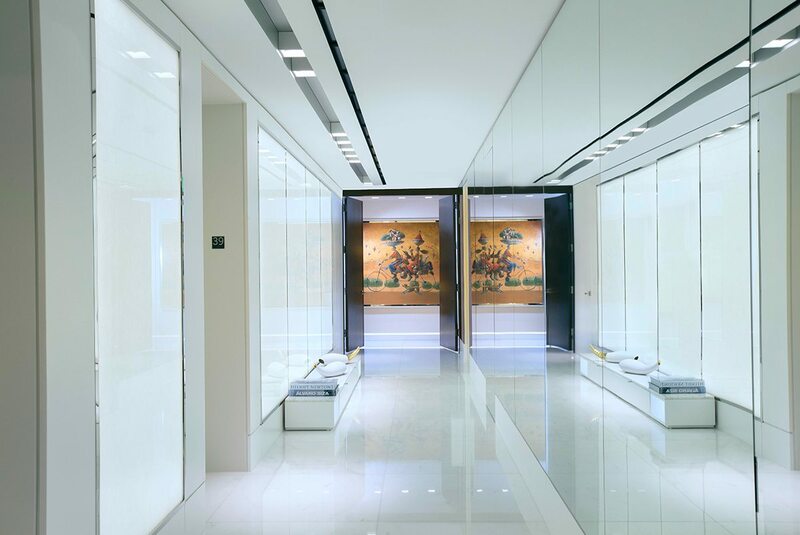 Therefore, our team worked diligently with our construction experts to make sure the walls and dropped ceilings had perfect 0°, knife edge profiles. This attention to detail created a light and airy feeling to the rooms with the ceiling appearing like a piece of floating paper. We hope you love the result as much as we do.